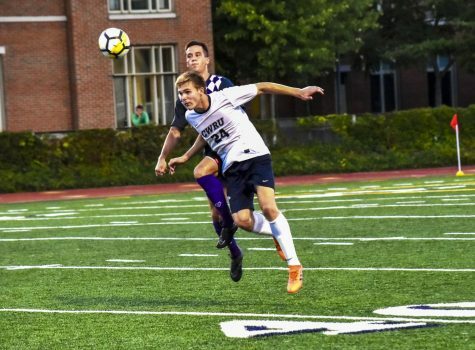 The Case Western Reserve University women’s soccer team was able to show its offensive and defensive abilities in last week’s matchups. The team shutdown opposing teams on DiSanto Field, recording two clean sheets. Led offensively by first-year forward Christian Hickson, the Spartans were able to pull off a dominant 3-0 win over Hiram College on Wednesday, Sept. 12 and a 1-0 victory over Chatham University on Saturday, Sept. 15. The match against Hiram put the Spartans’ offensive prowess on full display. 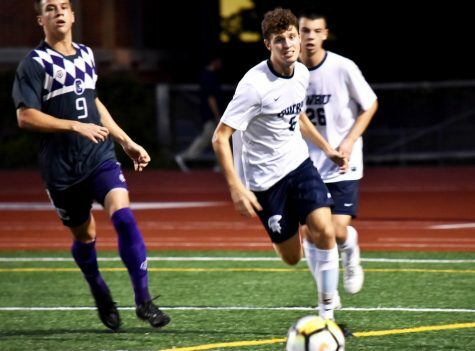 CWRU scored three goals in the first 13 minutes of the match and cruised to victory. The first goal came in the fourth minute, when Hickson chipped it past the goalie off of an assist from fourth-year forward Melanie Kukura. Two minutes later, fourth-year midfielder Emily Dickens hit a shot off the crossbar, which was rebounded by Hickson and easily tapped in for the score. Third-year forward Kimberly Chen got into the action, with a curling shot to give CWRU a commanding 3-0 lead. Along with the solid offensive display, the defense shut Hiram down, with second-year goalkeeper Lauren Metz, third-year goalkeeper Lauren Unterborn and first-year goalkeeper Jenna Ruccolo all combining for four saves and earning a clean sheet. Compared to the match against Hiram, the one against Chatham was a defensive struggle. 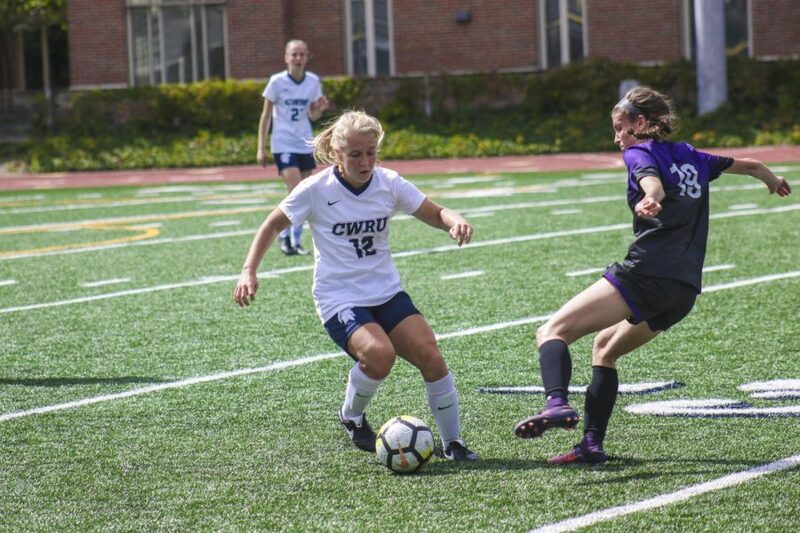 Even though both teams were attacking offensively, with CWRU attempting 19 shots compared to Chatham’s 13, the defense held up all through regulation for both sides. For the Spartans, Metz recorded five saves and earned another shutout to lead the defense. As the game was tied at zero at the end of regulation, it headed into overtime. 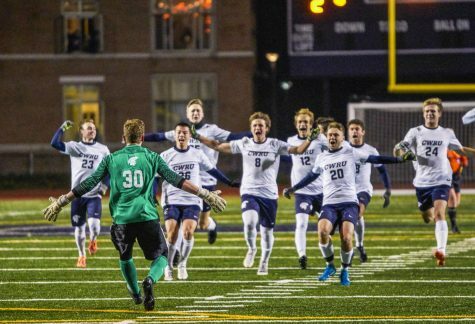 In the early minutes of overtime, during the 92nd minute, Hickson scored the game-winning goal by evading the Chatham goalkeeper to give CWRU the win. 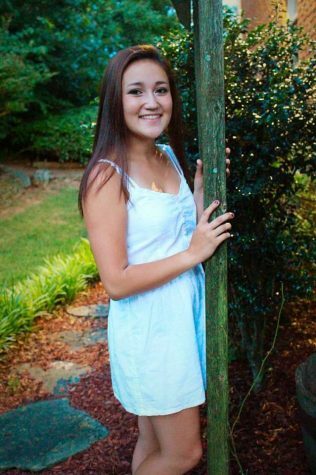 Chen was credited with the assist, as her pinpoint pass set up the goal. Head Coach Tiffany Crooks had high praise for Hickson because of her amazing performance during the week and also lauded her team for their overall performance this week. Following a 1-0 road overtime win against the College of Wooster, the Spartans finished the week with three wins to bring their overall season record to 4-2. 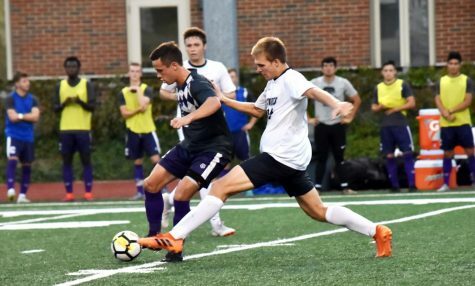 The team will look to continue their win streak when they face Washington and Jefferson College on Sunday, Sept. 23 and Denison University at home on Tuesday, Sept 25.